I am proud to present one of the high-performers in the Weekdone community. 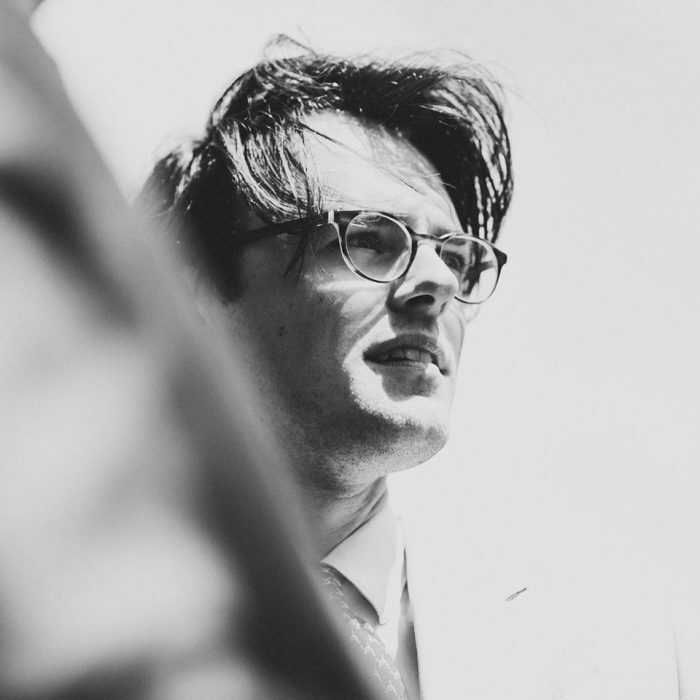 Meet Kaspar von Grünberg – CEO of Humanitec AG. Humanitec helps NGOs by building software tools which collect data for their daily operations, analyze it intuitively, and report it efficiently. Talking to Kaspar, I realized how much he valued the contribution of each individual in Humanitec. They have teams in 4 different locations around the world, and for him keeping everybody aligned was his main challenge. Humanitec workforce is quite diverse, “We have 15 nations who all have different approaches to their work” said Kaspar. So, keeping the company innovative while valuing individual contribution is quite a challenge. In his words: “In our current phase of the company, planning and giving everybody a clear idea how their work contributes to the overall picture is maybe the most important thing to focus on at the moment”. In order to do that, Kaspar turned to the Objectives and Key Results framework. He knew OKRs, because Google started using it in their early days. “I was really impressed how they went from a small company to a huge organization using OKRs” said Kaspar. Kaspar first tried the OKRs on his own before rolling it out to his team. Then, he started testing different solutions and finally settled on Weekdone. He chose Weekdone, because it was the most advanced and had the best user experience. 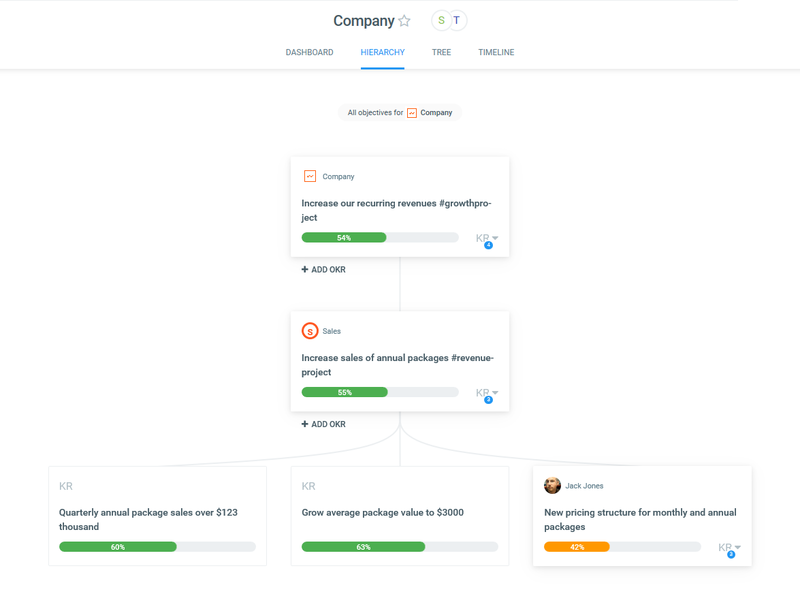 “It is sometimes difficult to convince people to use OKRs, so you want a solution that is extremely simple, intuitive and excellent to understand.” said Kaspar. Otherwise, people feel overwhelmed and face the daunting task of using yet another software. According to Kaspar, it was pretty hard to get people using OKRs at first. “It is a little bit difficult to convince people to do something now when they can see the benefits until later on” said Kaspar. The first OKRs they planned were not particularly good. There was a lot of misplanning and many of the people didn't understand the ins and outs of the OKR framework. In order to educate people, Kaspar presented the theory of OKRs and trained his co-workers on how to make the most out of the framework. 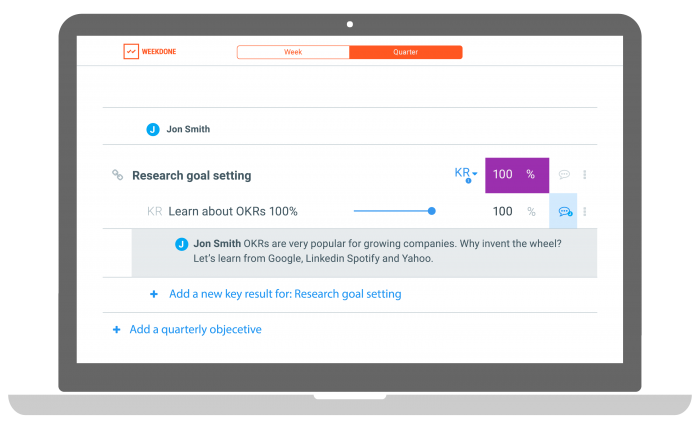 Now, the OKR training has become a standard cycle on their onboarding process. He mainly used the Weekdone onboarding materials and the famous Google Ventures video. After the 2nd quarter Humanitec started seeing significant improvement with their OKR process. 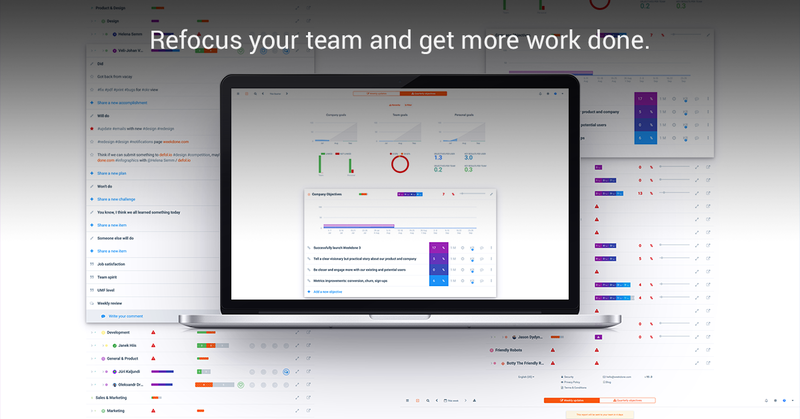 “People went out of the OKR review meeting and said that the process really helped them to understand where the company is going, and how their work is contributing to the larger whole and therefore actually feel more valued” said Kaspar. “In terms of the solution, we thought about adopting another tool for a long time, because we are using other softwares and I wanted it to really benefit us” said Kaspar. His main goal was to find a tool that would be easy to use because they have some people who are not that technically skilled. Kaspar personally enjoyed the onboarding process. He said: “I actually asked for tips and best practices from [Weekdone’s] customer support to implement it in our business as well”. The whole experience of onboarding felt personal and secure. Overall, they found Weekdone was very convenient and easy to understand. “The clear benefit is that we are more aligned, structured, and people feel more connected” said Kaspar. 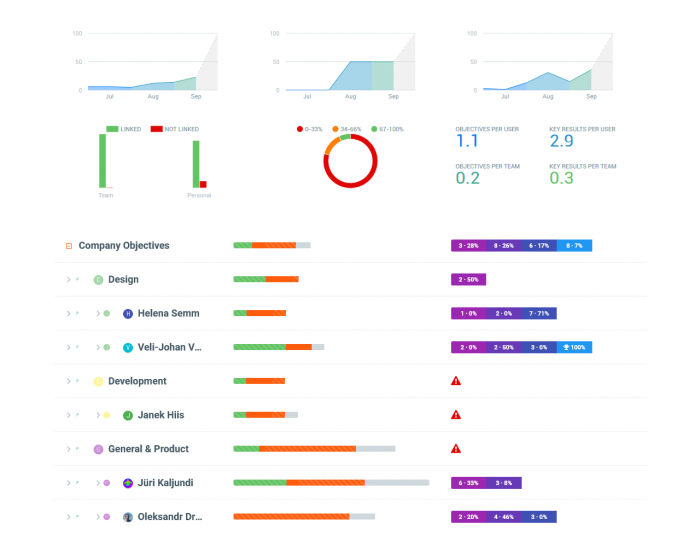 He personally likes the chart view of productivity and the opportunity to see who is working on what. Kaspar also sees a great financial benefit: “In my opinion the financial benefit of Weekdone is that you just make sure there is no resource going in the wrong direction. So, let's say a team of 3 goes the other direction for a week, then in my opinion you have 10 times more cost than Weekdone itself costs”. Kaspar, what is the single biggest reason you would recommend Weekdone to other teams and companies? Remember to follow us on Twitter, Google+ and Facebook for all about okr, objectives and key results, case study and more! We're also on LinkedIn and Slideshare, posting about OKR - Objectives & Key Results, Customer Case Studies & Interviews. Subscribe to our Leadership Academy newsletter on building great companies for more tips about OKR - Objectives & Key Results, Customer Case Studies & Interviews. 23,300 awesome subscribers.